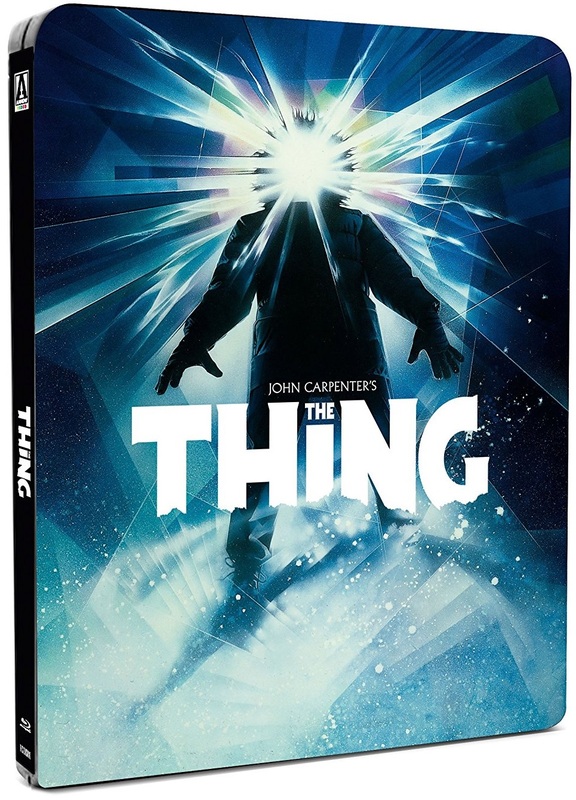 Arrow made every genre fan’s year when they announced a new, feature-packed 4K-based restoration of John Carpenter’s The Thing, which is coming on Monday October 23rd. If you haven’t got your order in yet, then be quick. HMV seem to be the only ones with stock left of both the steelbook and Limited Edition. With such an incredible release of an all-time classic like this about to land in our grubby mitts, we had a few questions. Could you please introduce yourself, and your involvement in this release? KL: My name is Kevin Lambert, I’m the Head of Catalogue here at Arrow Films. 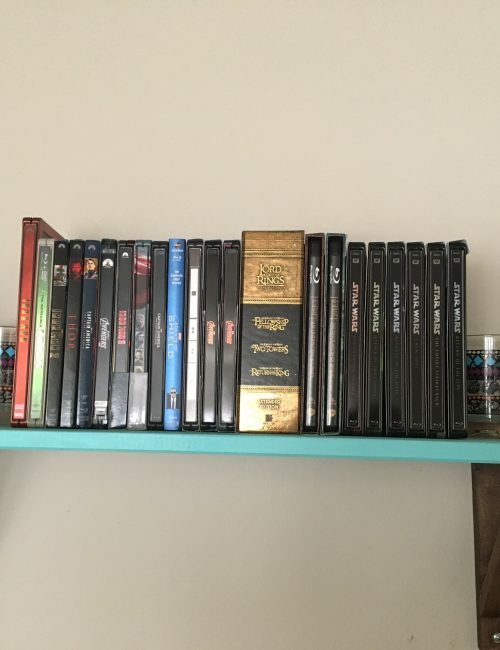 That means I oversee all of the releases on the Arrow Video and Arrow Academy labels, from acquiring the title all the way through to seeing through the production process with the product manager assigned to the release. How did this release come about? Did Arrow approach Universal, or vice versa? KL: We approached Universal and requested the title, it seemed like a no brainier. Why did you choose to do a new restoration, when Shout Factory in the US has recently done one approved by Dean Cundy (the film’s cinematographer)? KL: While the Shout Factory release is good, we felt we could present it slightly differently, the Shout release is a 2k scan from an interpositive element, whereas ours is a 4k scan from the original camera negative, the extra detail visible is amazing. How involved were John Carpenter and Dean Cundy in this restoration? KL: Very! We wanted both director and cinematographer to arrive at a version that was as true to their original vision, and as close to definitive as possible. So once the restoration work was done we let them have free reign, and they both commented to us that this is how they wanted it to look and feel. Its such an amazing feeling to hear that from them. James White, our Head of Restoration, is better placed to answer that than me. JW: In general, damage is assessed by reviewing the material both after it’s scanned and during grading. Every element, no matter its history will contain some level of surface issues due to age, treatment, condition, etc. THE THING contained issues like light scratches, dirt and debris, some stability issues due to stretched sprockets and worn splices. Some instances of density fluctuation were also on show. With regard to repairs vs “improvements”, we generally don’t approach any film with the latter in mind. We essentially want the end result to be as close to the original presentation as possible, in terms of colour, detail, grain, texture, etc. The tradition of using new technology to make what some may view as “improvements” to the original – i.e. grain reduction, edge enhancement, sharpening, or the “improvement” of what they might consider dated visual effects – these are all ideas that quickly go out of fashion and are antithetical to the very premise of restoration. Where there any particularly difficult bits of restoration work? 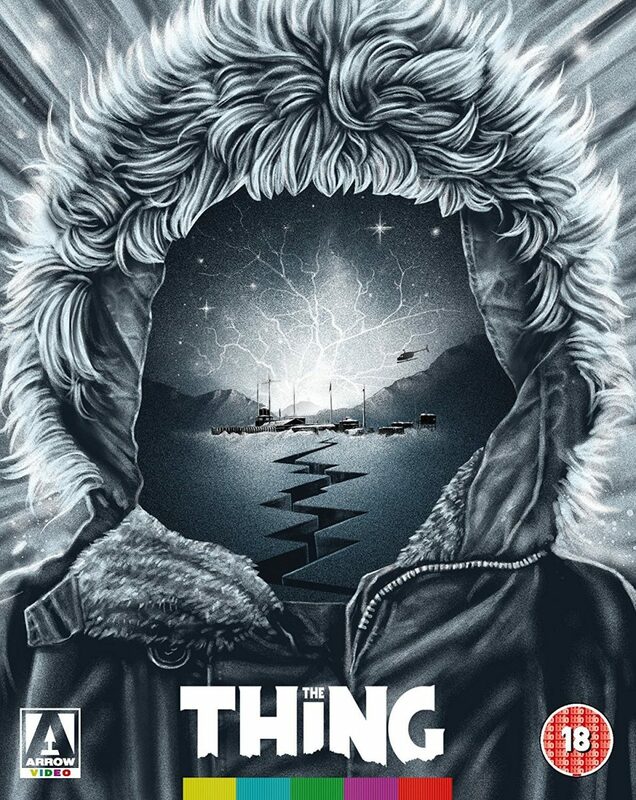 JW: As THE THING is a fairly recent title (1980s) and the negative hadn’t been accessed much since the initial lab process in 1982, the material was thankfully in fairly good shape. The biggest issues had to do with were sudden colour shifts due to density flashes, some tramline scratches on the emulsion and stability due to worn splices and sprockets original materials. With careful attention paid to these issues using an application of combined manual software techniques, we were able to fix all of these issues where they are now invisible. How much freedom did you have when selecting from the existing available extra features, and did you speak with Scream about using any of theirs? KL: The extras are a mixture of archival pieces and newly commissioned ones, the biggest of them all is the new documentary about the film which is incredibly insightful. Just when you think you’ve heard all the stories about the film you learn something else. For this particular release we chose to go down this newly created route rather than use the extras that Shout made for their release. We’ve worked with Shout Factory on numerous releases, but for this one we though a new approach would be more desirable. 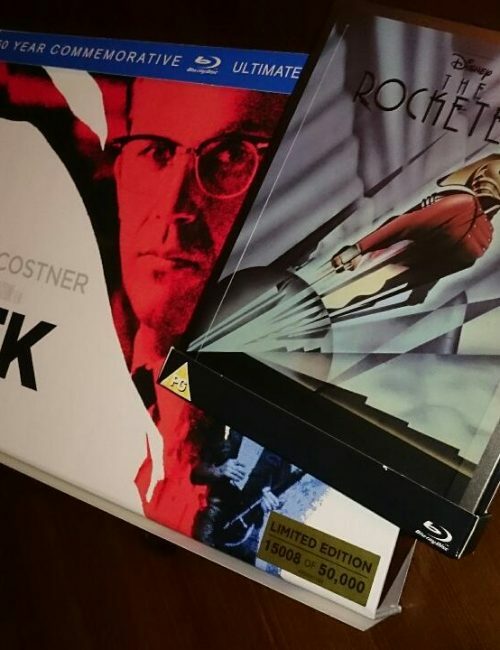 The packaging – both for the Steelbook and the Limited Edition – is awesome. Can you talk about how each one came about? KL: Thanks! 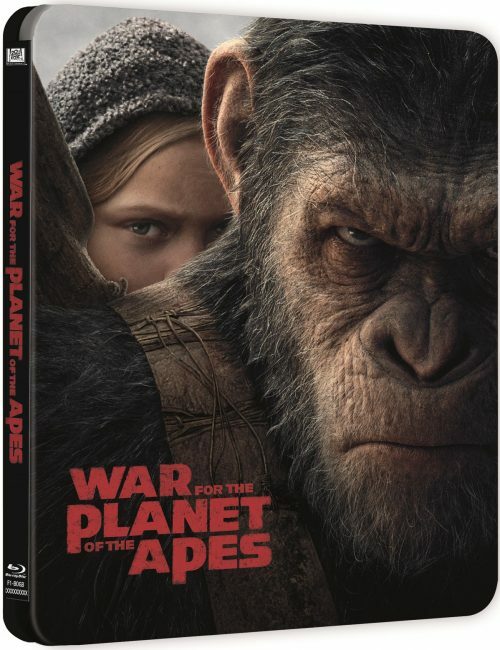 The Steelbook is the original key art for the film, but using the title treatment from the newly designed art. For the Steelbook, we got to have a lot of fun using the Steelbook’s metal to really make the artwork pop. The Limited Edition set was created by an extremely talented artist who we all love, Gary Pullin, he created a piece of art for each element in the set so they all tied together. The clever thing about the slipcase and the Amaray is the way they interact together. 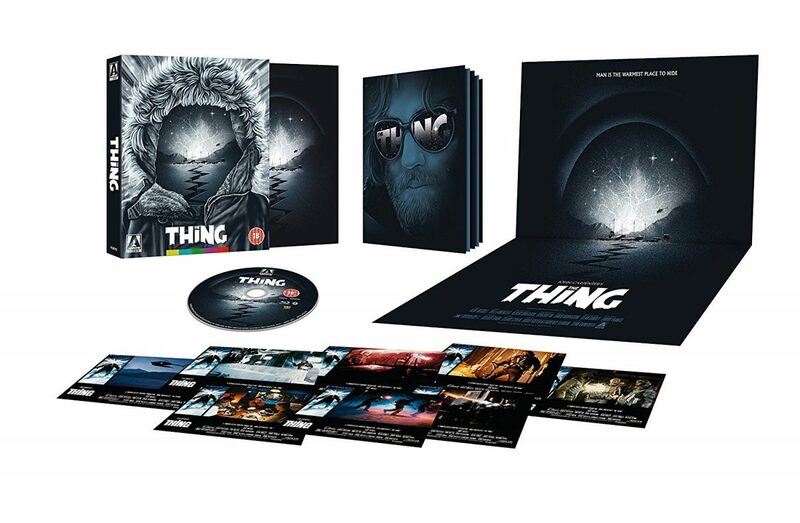 When removed from the slipcase the Amaray sleeve shows a whole new cover, teamed with a beautiful poster and lobby cards, it has the complete package feel to it.